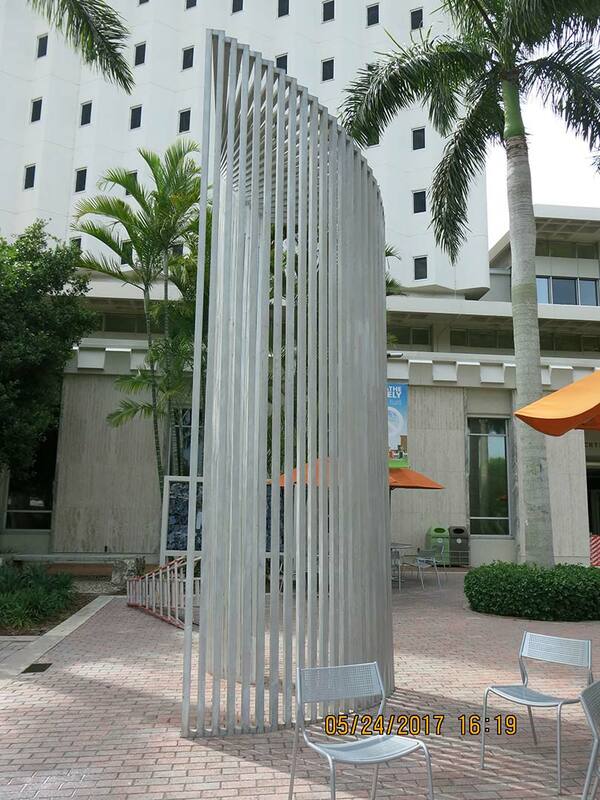 Artist Linda Howard’s monumental outdoor aluminum sculpture is fabricated out of spot welded aluminum square tubing. 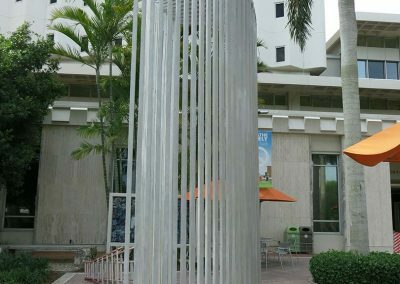 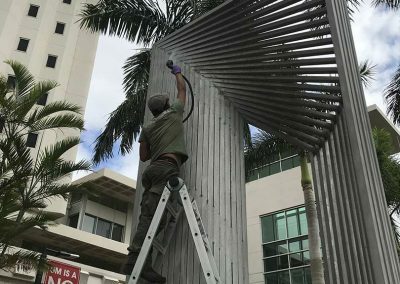 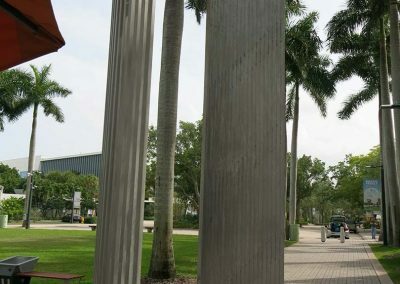 The artwork is located in the center of the University of Miami campus, a tropical environment within a few miles of the Atlantic Ocean. 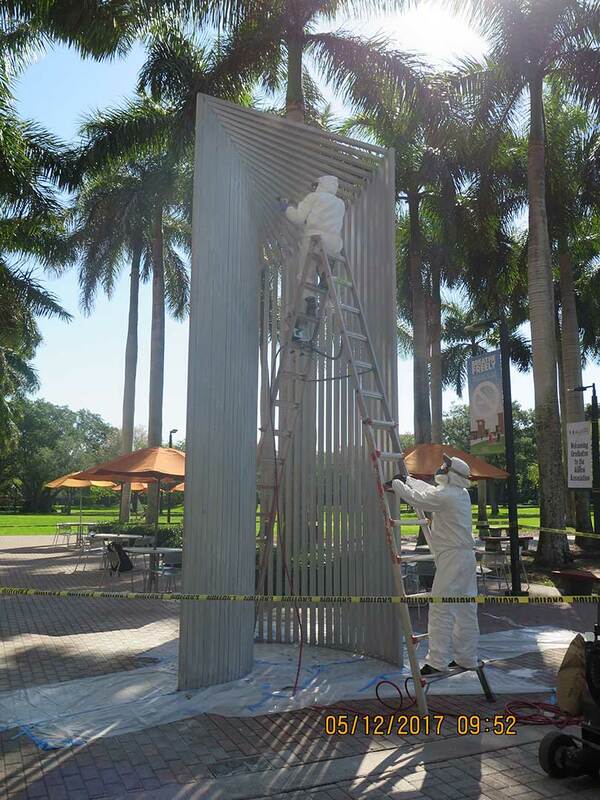 Over the years the aluminum surface became splotchy with dark discoloration and raised white aluminum carbonate corrosion. 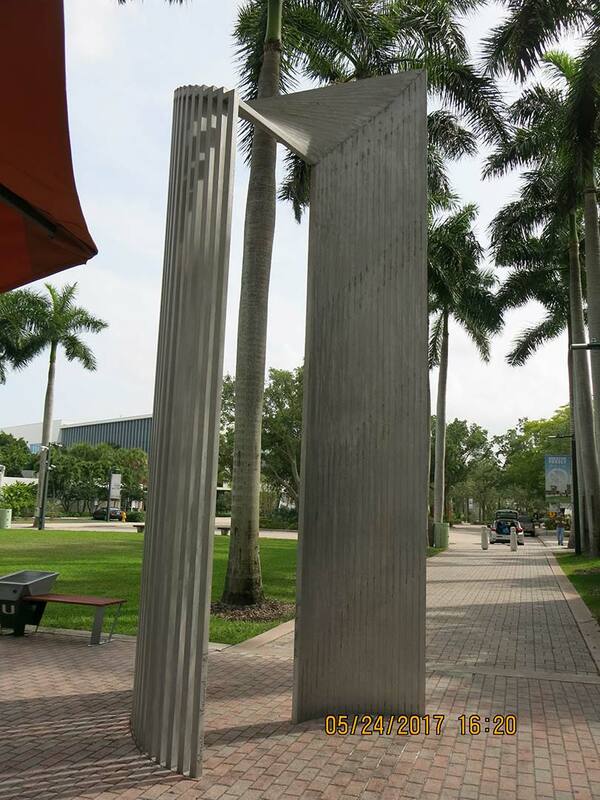 Corrosion tended to concentrate in thick crusts underneath the horizontal overhead portion and in between the tubes. 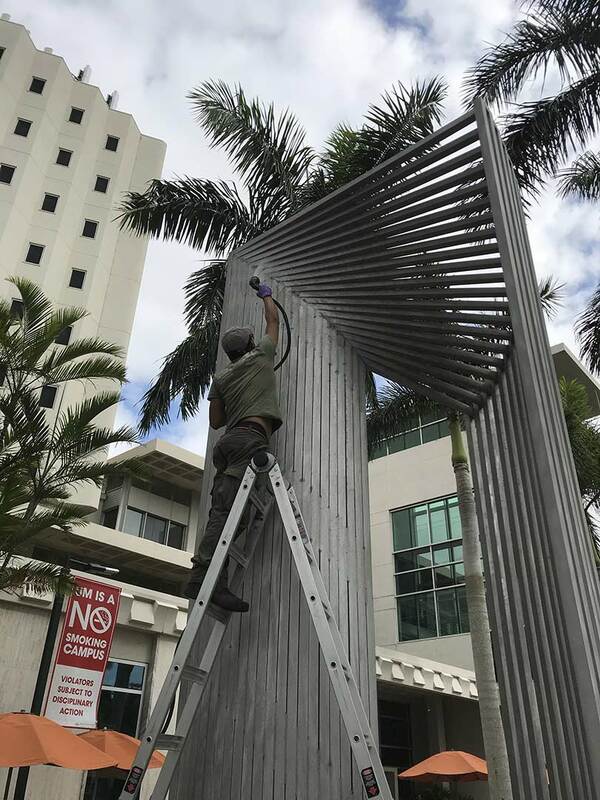 An end cap was missing from one of the tubes on the upper curved portion of the sculpture. RLA cleaned off corrosion using a portable abrasive blasting unit and soft medium that did not mar the aluminum surface. 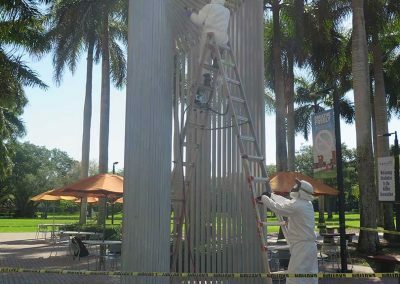 The darker areas were removed with abrasive pastes and polishes that evened out the appearance. 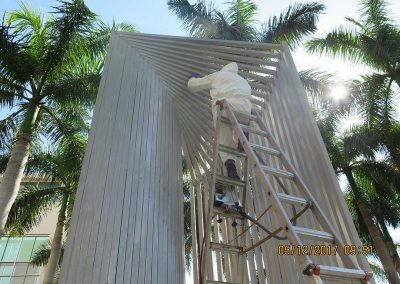 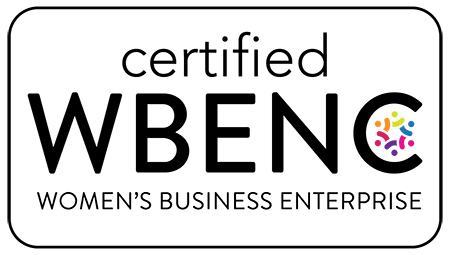 The treatment would be an option also for conservation of architectural aluminum with extensive corrosion and discoloration.